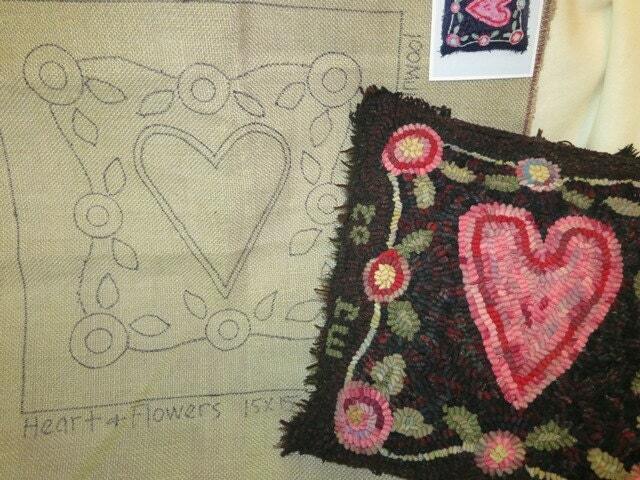 This listing is for the rug hooking pattern "Heart and Flowers" on your choice of cotton monks cloth or primitive linen. A color photo is included. The design is 15" x 15" and is hand drawn on the backing fabric with 4" inch borders to make it fit on most rug hooking frames or in a 14" hoop. 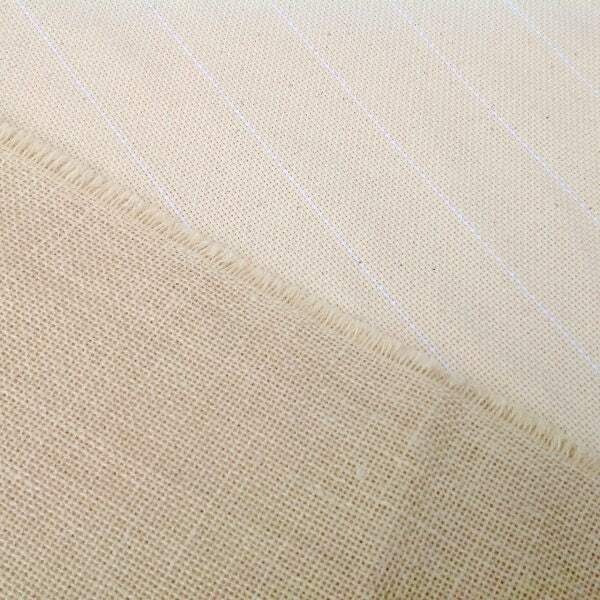 The raw edges of the foundation fabric have been serged to prevent raveling while hooking. The photos give you an idea of how I hooked my version. I turned it into a pillow. The fringe edges were made by inserting a wool strip between the front and the back and then pulling threads. This pattern is one of my favorites and has been with my customers too. It is such a fun small project that hooks up quickly. It would make an ideal gift for wedding or anniversary or Valentine's Day. Your mother, sister, daughter, granddaughter or best friend would be delighted with this rug. © Mary Johnson/Designs In Wool. 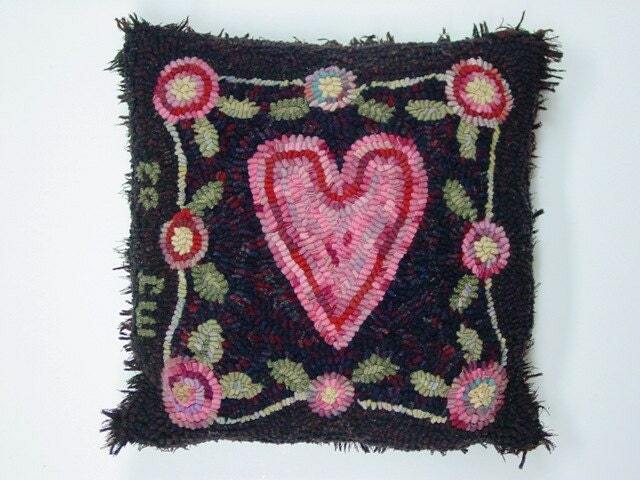 This pattern is purchased by you for one time personal use or to give as a gift. It may not be copied, redrawn or reproduced in any way. Please help support my small business by respecting copyright. Thank you! Very pretty! I can't wait to get started. Love the pattern and can't wait to begin hooking... thank you!